Please join us, March 19th 2pm – 9:30pm at Caffe Della Valle. 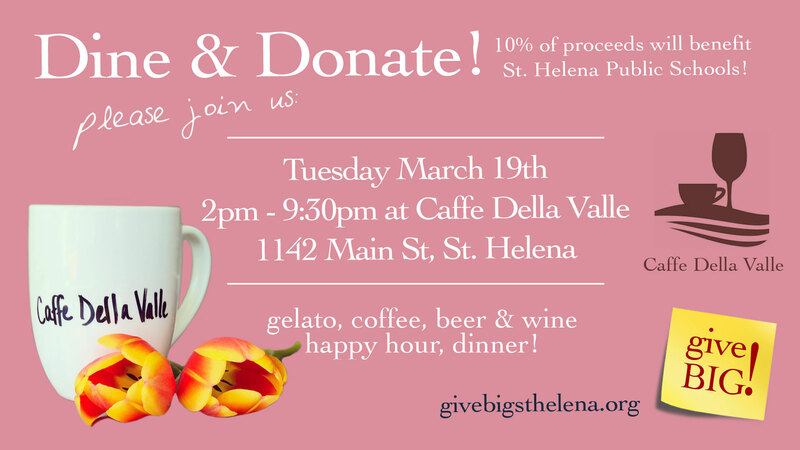 10% of proceeds will benefit St. Helena Public Schools! 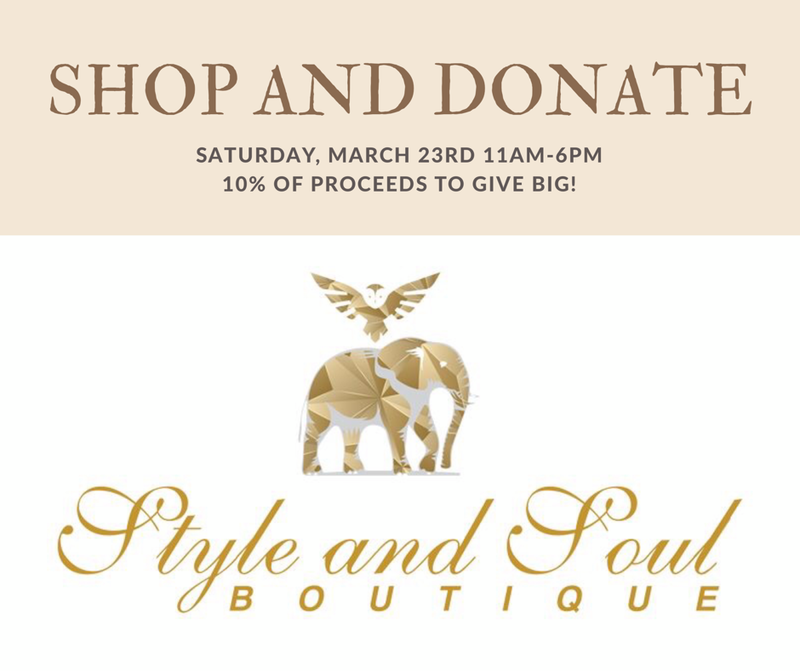 Shop and Donate, Saturday March 23, 11AM-6PM! 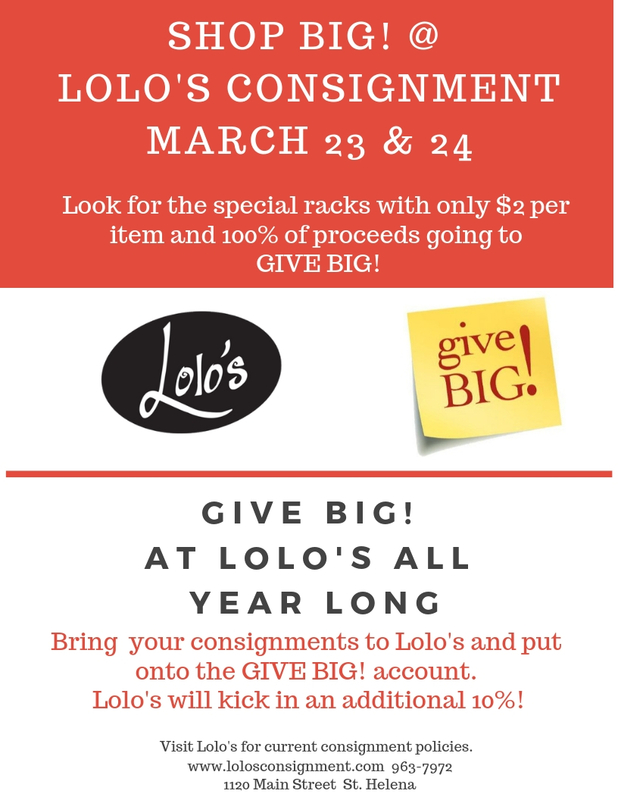 Look for the special racks with only $2 per item and 100% of the proceeds going to Give Big! Dine & Donate at Cook Tavern! Join us at Cook Tavern, Wednesday, February 27, 5-9pm. 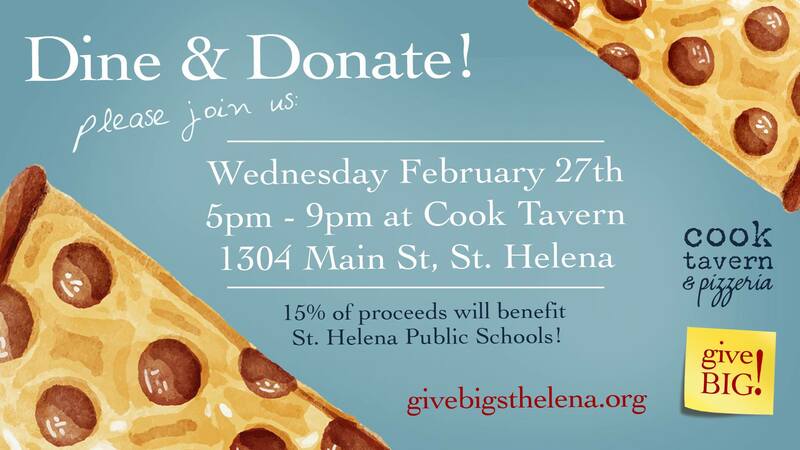 15% of proceeds will benefit Saint Helena Public Schools! 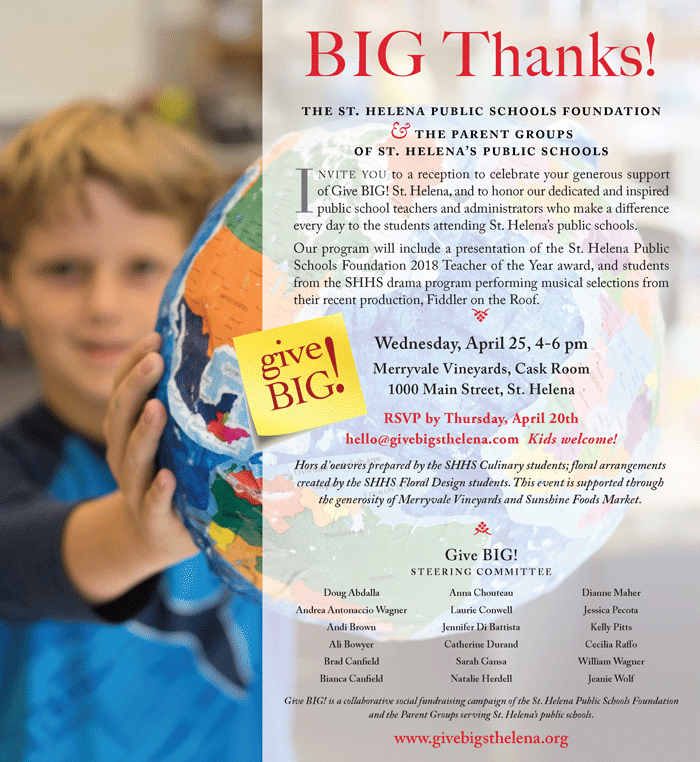 the Parent Groups of St. Helena’s Public Schools invite you to a reception to celebrate your generous support of Give BIG! St. Helena, and to honor our dedicated and inspired public school teachers and administrators who make a difference every day to the students attending St. Helena’s public schools. 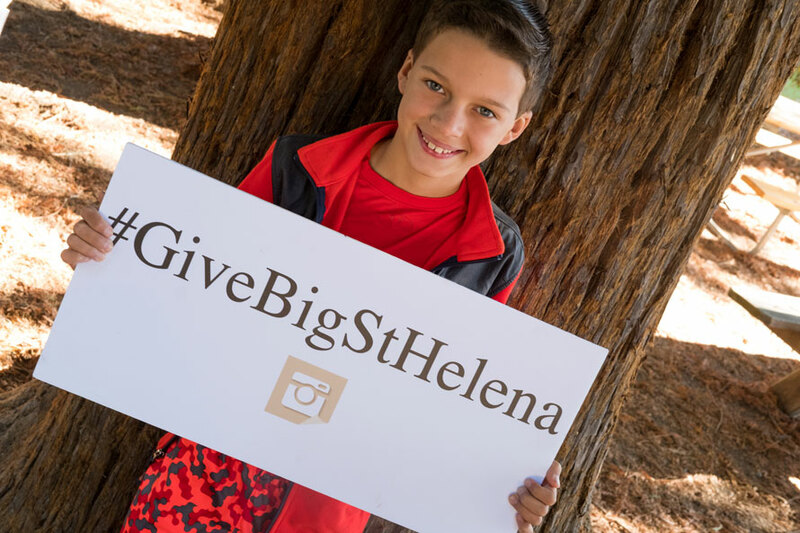 Saturday, March 24, marks the return of Give Big, the annual school fundraiser that’s becoming a St. Helena institution after only four years. Catch Calistoga invites you to an evening of shopping! 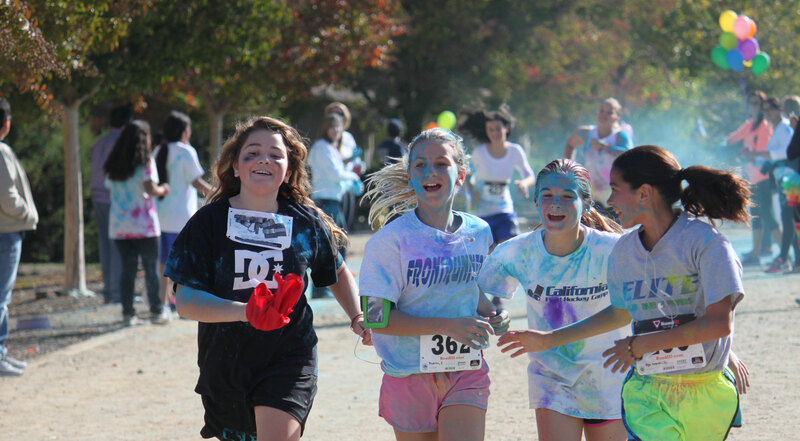 This year, Run BIG! will kick off at RLS at 2 pm and conclude at 3 pm. RUN BIG! 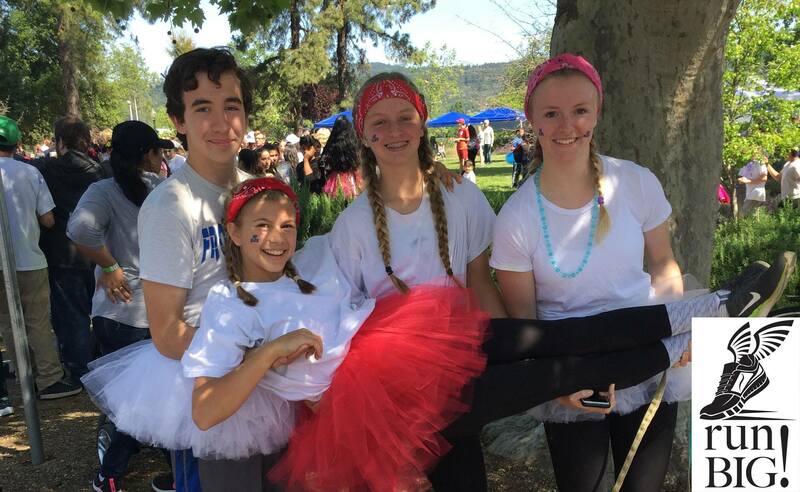 2016 was featured in St. Helena Star. BIG news! Run BIG is ON! 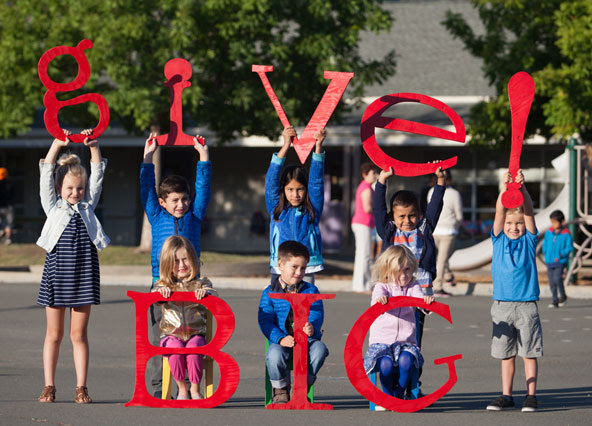 Get ready for GiveBig! 2018! March is The Month of Giving!